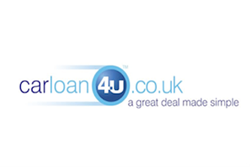 The UK’s leading car finance website Car Loan 4U offer their top tips and advice for motorists hitting the road this Spring. We have put together a list of do’s and don’ts when it comes to car breakdowns that we hope every motorist will take on board before hitting the roads this Spring. With more motorists venturing onto the UK’s roads in Spring, the extra congestion and the inevitable wear and tear of winter driving can lead to cars increasingly breaking down. Ahead of the extra traffic, car finance experts Car Loan 4U offers their top tips on what motorists should and shouldn’t do if they are unfortunate enough that their car breaks down. Whether your car breaks down around the corner from your house or on a busy intersection, the important thing to bear in mind is that it is important to stay calm. If you breakdown on a motorway, use the hard shoulder and stand behind the protective barriers away from the vehicle when you wait for breakdown services. If you have broken down on a motorway, no one should remain in the vehicle, including all passengers. Ensure that it is safe to leave the vehicle and then ensure that everyone is away from the vehicle and behind the protective barriers. Your hazard lights are there to help you warn other motorists about your vehicle if you are running into difficulty. Use your hazard lights to warn motorists wherever you breakdown. Do not use a warning triangle on the hard shoulder of a motorway. If you have a reflective jacket in your car, wear it, so that you are seen by oncoming motorists. If you are a mechanic for Ferrari and you are in a safe spot then you may want to consider fixing your car if it has broken down; but if the only thing you know about cars is how to drive one, you are probably best leaving any attempt at fixing it to the experts. It is unlikely you will be able to fix the car if it has broken down and you could be putting yourself and other motorists in danger by attempting to fix a vehicle at the side of a road.